As the big star shown on Garden Hill and Christmas lights graced Port Moresby households, yesterday night was a great time out for families who attended the Angel Poroman Carols By Candle Light Concert supported by the good governor of NCD Hon. Powes Parkop and SP Brewery. 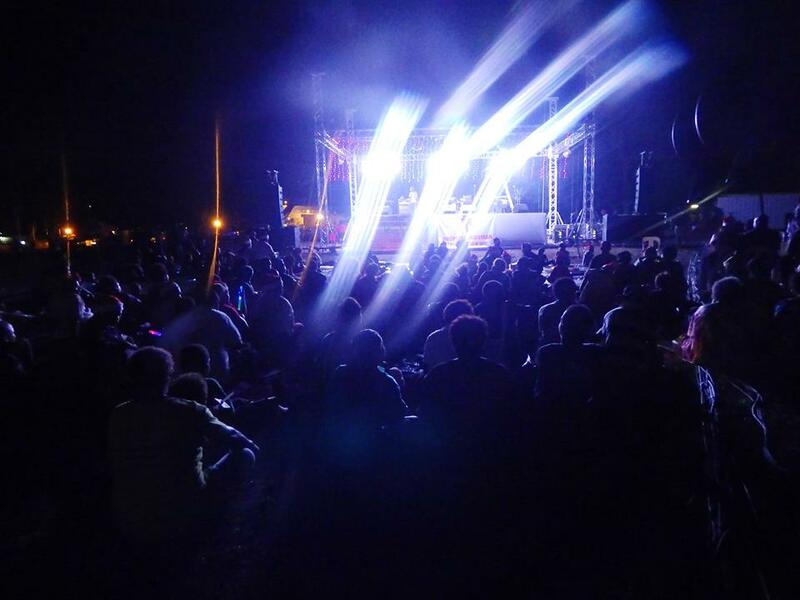 As dusk fell, the oval was packed with eager and enthusiastic faces who heard that their favorite PNG artists like Meriani Masani and Nathan Nakikus will be playing live. When the urban youth choir opened the nights with ‘silent night’ you could actually feel a peaceful sensation flowing among everyone. Then the Lavaiamat twins from the Twin Tribe band threw a few Christmas songs like ‘Rudolf the red nosed reindeer’ and Meriani kicks in with ‘santa claus is coming to town’ and the rest just flew. Nathan Nakikus belted the ‘we wanna wish you a merry Christmas’ and did his own mix in Tolai Kuanua language that got even the parents on their foot and requesting for more when the song ended. It surely was a great Christmas Eve.